Let’s Talk SeneGence blush!! I was a long time loyal fan of that iconic Nars blush.. that peachy pink goodness, with some shimmer. You know the one that starts with O… Yes, I loved it. I still have a container of it in my makeup room. The color is just beyond. But, as I’m getting older, I’m realizing my skin can’t handle certain ingredients. Switching to a safer, less toxic blush has been great for my skin. I get a lot of questions about SeneGence blush options. We have 3 formulas, and within those formulas, we have multiple colors to choose from. Even better is the fact that you can mix, match, blend, and build all of these options together. *Translucid Powder Blush – Bronze Duse and Silver Rose… These are my favorites for quick everyday shimmer and warmth on the cheek. These are packaged in a handy travel container with a lid, so it’s easy to just load the brush, apply, and be on your way. Easy makeup that is beneficial for your skin is where.it’s.at! These are $50, and will last you FOREVAAAAH. I’ve have each of mine for over a year, and I’m not even half way through the container. *BlushSense – This is a creamy matte blush that is so highly pigmented.. one tube will last you for at least a year. You seriously need the tiniest dot to create a healthy, and glowy flush to your cheeks. The cream BlushSense is $30 and just melts into your skin. 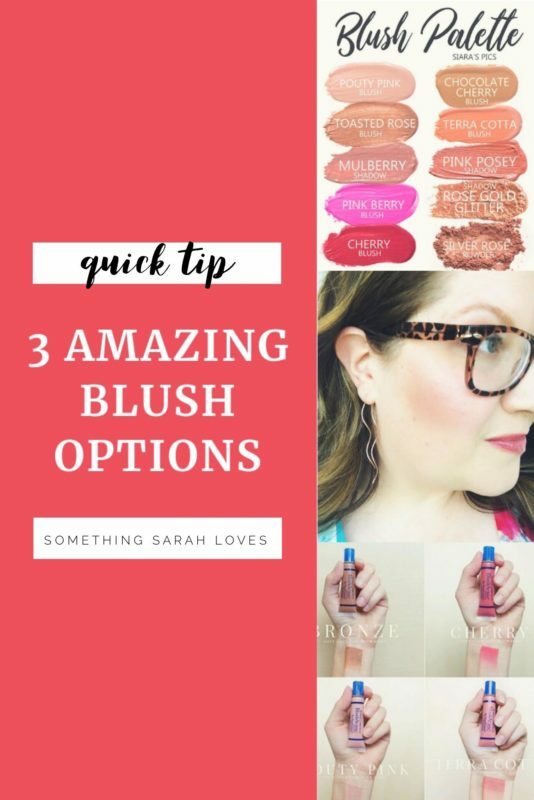 This comes in 6 colors that range from cool Chocolate Cherry or Toasted Rose, to warm Terra Cotta, barely there Pouty Pink, and super poppy pink Pinkberry or Cherry. *ShadowSense – I’ve said it before, but multitasking makeup is my jam. ShadowSense is our cream to powder, highly pigmented, blendable eyeshadow. And we have a few colors that look amazing as blush. Pink Posey is my favorite because it’s the perfect blend between peach and pink.. right up my alley! All of our shadows are $22. You’ll see in my video below that my favorite blend is Terra Cotta mixed with Silver Rose powder. This gets me suuuper close to my iconic Nars blush color, but lasts longer, and provides skincare and sun protection, while I’m wearing it. And as always, shoot me a message if you want to try some of this fabulous, good for your skin blush yourself!